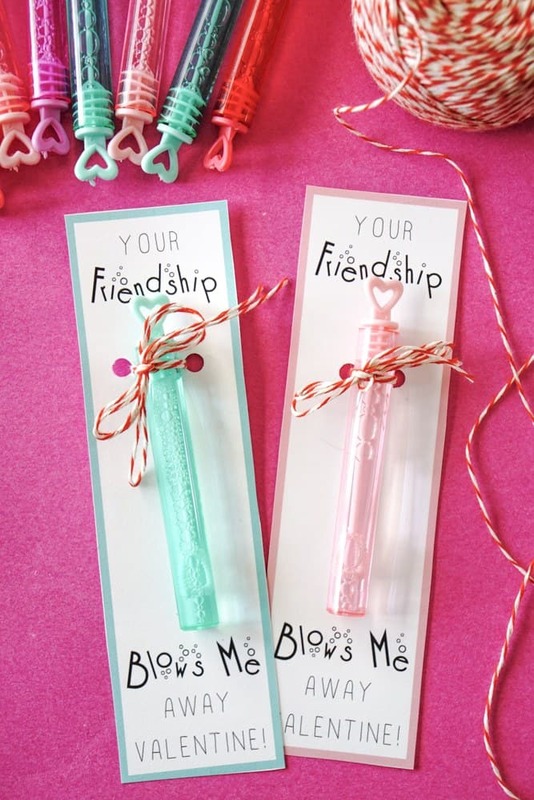 Looking for a quick and easy bubble Valentine printable, then look no further. 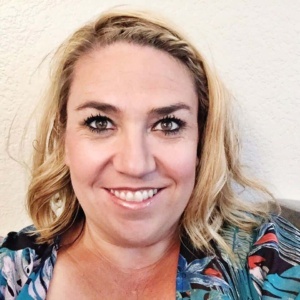 You all know that I’m koo koo over Valentines Day, but that doesn’t mean that there aren’t years when this holiday comes creeping up on us and we’re scrambling for 24 quick and simple Valentines to give the kids at school. 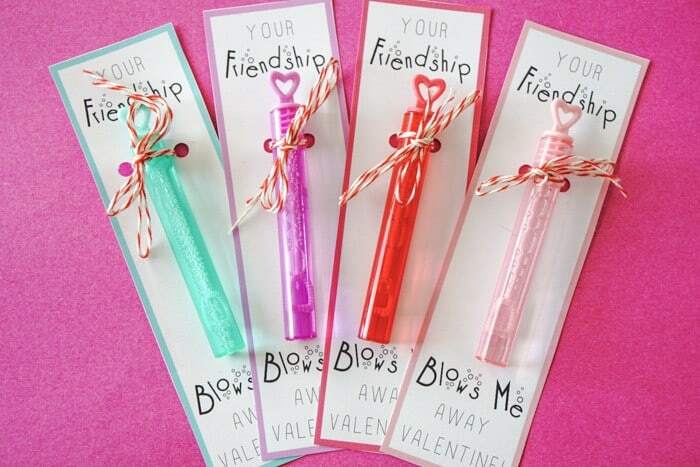 We are always looking for fun Valentines that you can run and grab a couple dozen for a few dollars and then print them out, and their off to school. I was recently in Walgreens and found these cute heart shaped bubbles. It came in a pack of 12 for $3 or they may have even had a holiday discount making it less than that, but regardless, it was only a few dollars for a dozen. 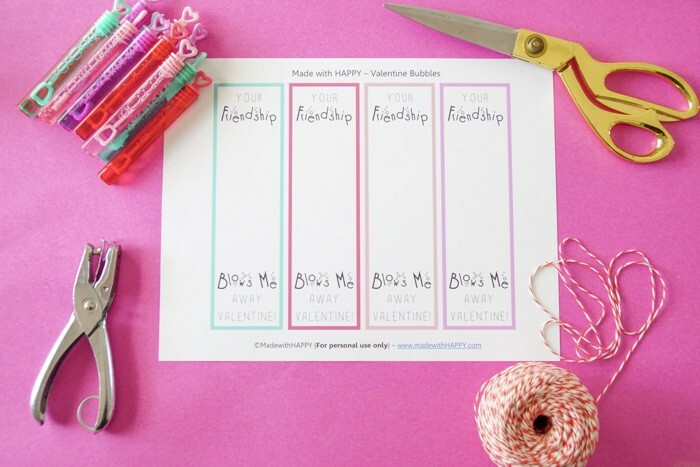 I grabbed them because who doesn’t love bubbles and we could make a really cute printable making it super easy Valentines Idea. 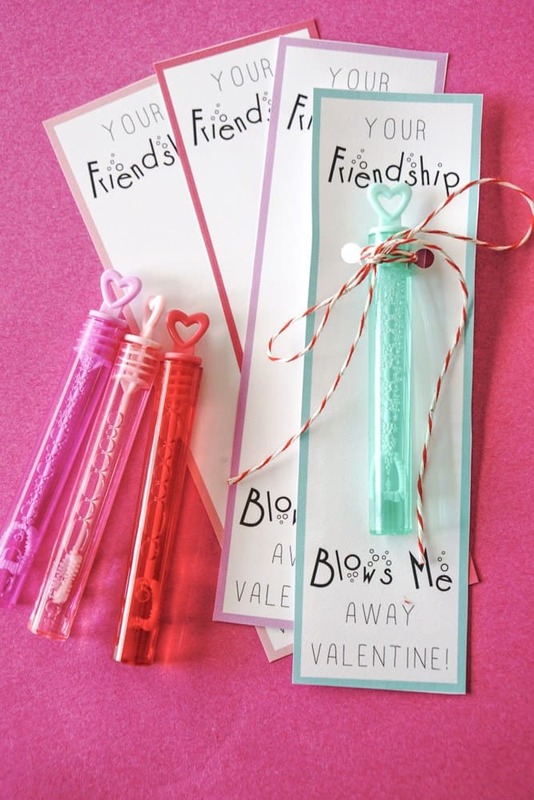 The kids and I love to create our own printable Valentines as it gives us a fun HAPPY way to put our spin on a printable Valentines, but also it allows for the kids to sign the back and add their own note to each of their classmates too. 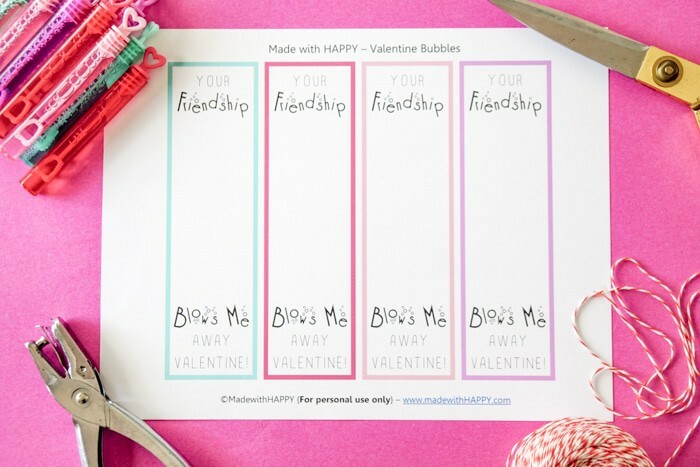 Once you have your bubble Valentine printable printed out, cut them each out. There are a number of ways to tie the bubbles onto the card. 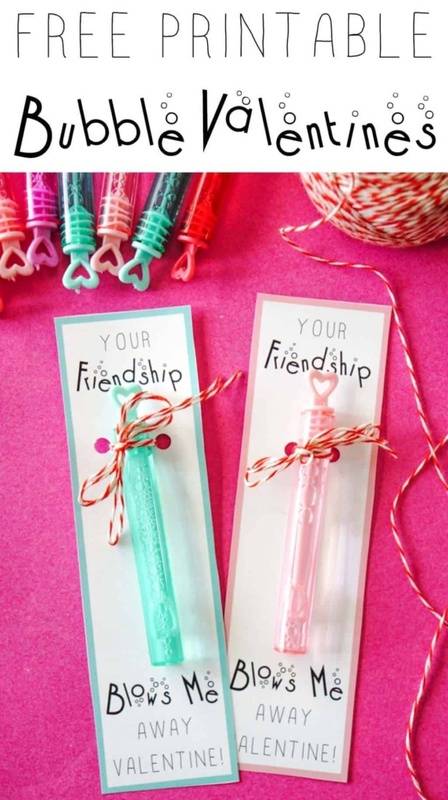 I found that the easiest was to hole punch two holes towards the top of the printable allowing you to tie the bubbles to the card. I cut the pieces of twine at about 12-18 inches each piece. Then fold the twine in half and tie the bow in the front. 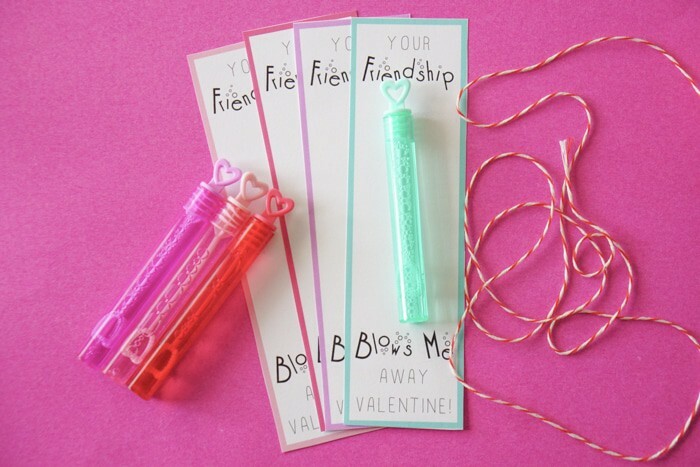 Viola… sweet and simple kid valentines ideas.